Chicago and London: University of Chicago Press, 1982. 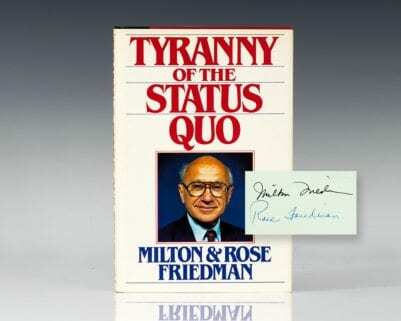 Twentieth anniversary edition of Friedman’s magnum opus. Octavo, bound in leather. Gilt titles to the spine, front and rear panel, silk bookmark bound in. 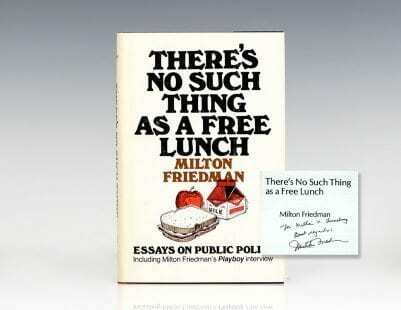 Signed by Milton Friedman on the half-title page. In fine condition. 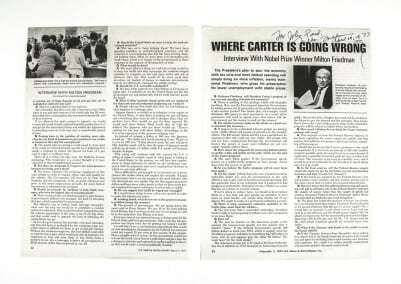 Milton Friedman “is regarded [as] a giant within the economics profession, and is one of the two or three most referenced and revered economics figures in the 20th century” (Pressman, 161). 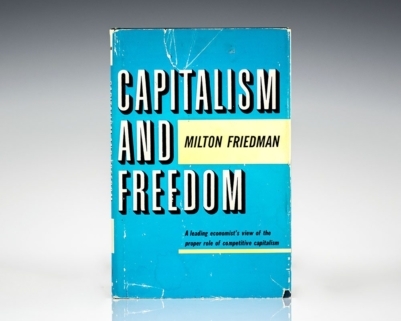 Capitalism and Freedom was selected by the Times Literary Supplement as one of the "hundred most influential books since the war." It also placed tenth on the list of the 100 best non-fiction books of the twentieth century compiled by National Review and on Time Magazine's top 100 non-fiction books written in English since 1923 and Modern Library 100 best non-fiction books of the twentieth century. 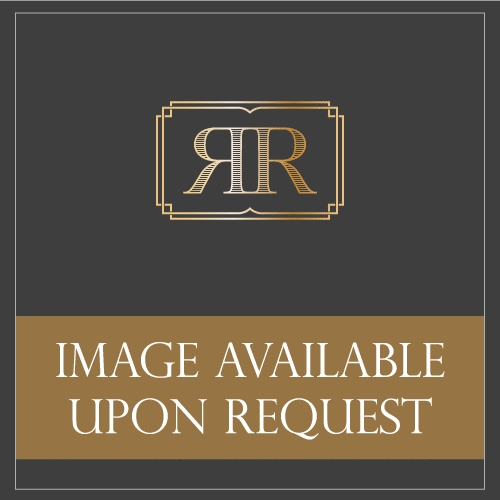 Price Theory: A Provisional Text. First edition of the economist’s classic text on price theory used at the University of Chicago. Quarto, original wrappers as issued. 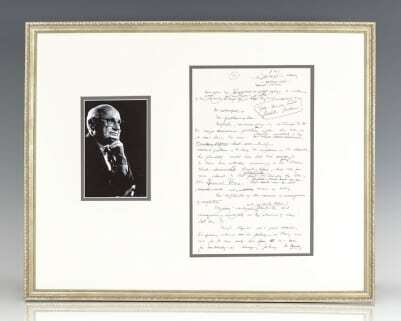 Signed by Milton Friedman on the title page. In near fine condition with light wear. Housed in a custom half morocco clamshell box. 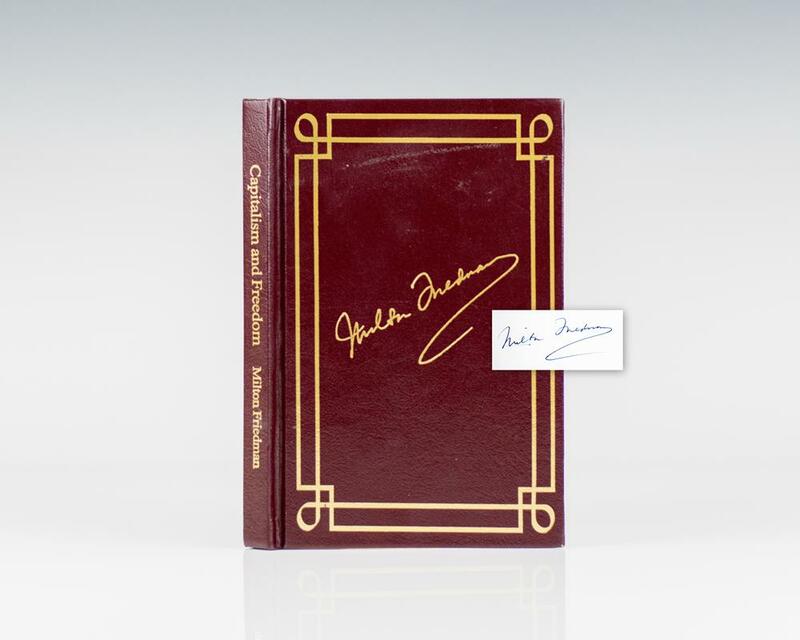 Rare and desirable signed.